Early last year my website lost a Page – “Electrotherapies”. It would have gone largely unnoticed as, despite my training, qualification and insurance to carry out such treatments, I have never felt comfortable with their efficacy, and so very, very few people will have even realised it was a treatment modality that was on offer. It was far more likely that someone had asked for that specific treatment, and I had gently talked us out of it, in favour of a more effective, and so cost-effective, treatment plan. “To try and help with this issue Connect Health shared their traffic light system they use to help their physios focus on what should, could, and doesn’t need to be done with patients. A GREEN LIGHT means there is strong evidence that this intervention SHOULD always be done. An AMBER LIGHT means ambiguous evidence so this intervention COULD occasionally be done. And a RED LIGHT means this intervention has no strong evidence of effectiveness and so DOESN’T need to be done”. 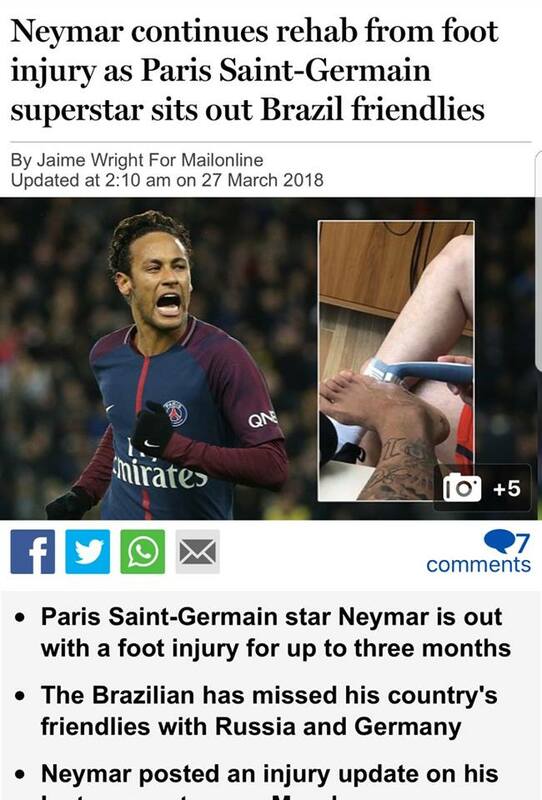 But wait, here’s a picture of the most expensive footballer in the world having ultrasound treatment on his injured foot. So if you have foot pain, this MUST be the best treatment, right…? …..where “continuous” ultrasound was 2 appointments per week for 6 weeks, and still no better than placebo! At least not for the athlete – the negative effect can be that weekend warriors, gym goers, even chronic pain sufferers can get caught up in expensive, long term treatment plans that simply don’t make sense, because we correlate elite athletes with elite treatments. Taking into consideration hugely important factors such as time constraints, money available, psychological and sociological factors there is always a better option. This entry was posted in Uncategorized on 17th September 2018 by DCInjuryClinic.